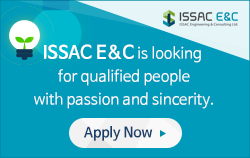 Theoretical knowledge and practical experience are harmonized in ISSAC E&C to provide time and cost efficiency for ordinary activities, and also to solve any complicate and critical problems facing on challenging circumstances. ISSAC E&C provides Basic Design for small and medium scale offshore & onshore development projects. 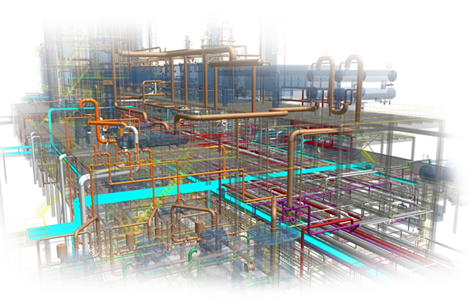 Basic Design typically includes design premises, design philosophies, process flow diagrams, process descriptions, material balances, equipment lists, general designs and layouts, general specifications, main equipment data sheet specifications of long lead items, preliminary cost estimates, HAZOP/HAZID studies and risk analyses. 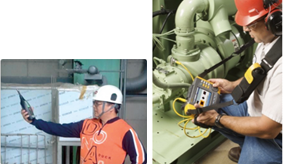 Maintenance and Inspection Engineering (MIE) is an integral part of a technology management system, aimed to identify methods for developing and selecting maintenance and inspection strategies and design alternatives, based on operational, economic, safety and environmental criteria. ISSAC E&C applies systematic approaches for establishing a maintenance and inspection program, which will efficiently and effectively allow the achievement of the required safety and availability levels of equipment and structures, intended to result in improved overall safety, availability and economy of operation. The main objective is to provide a comprehensive and structured set of knowledge, addressed to the effective management of technology projects issues in compliance with international standards, national regulations, client procedures and specifications, together with reference best practice and techniques. 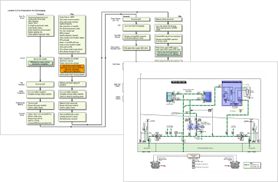 Prepare and issue the master document register for pre-commissioning & commissioning sub-system’s limits identification by marking up on engineering/vendors P&ID and one line diagrams. ISSAC E&C provides complete operating documentation and technical consultancy services, from initial concepts and planning through to development and production stages and final handovers, ensuring projects are delivered safely, on time and within budget. We have been providing documentation and technical information services to the oil & gas industries/marine projects and have supplied manuals to many clients. In addition to the traditional paper-based, we provide interactive operating manuals and, if necessary, the IT system needed to support its deployment. Interactive operating manuals help reduce paper use and avoid having conflicting versions in circulation. Multiple users can consult the same interactive manual at the same time. They are portable and can be used online or offline, if no internet connection is available. They can also be used as an e-learning tool. ISSAC E&C measures vibration/noise levels and provide measurement report according to the scheme for all ships. Noise and vibration means technical defectiveness originated from design stage or construction stage. It decreases efficiency of power and increases mechanical impairing. We provide practical solutions to avoid excessive noise and vibration at design stage. We also confirm the acceptance of noise and vibration limits based on international standards, by performing noise and vibration measurements during sea trials. We provide shaft power measurement services in accordance with the sea trial procedure. We provide ship performance measurement services in accordance with the sea trial procedure. ISSAC E&C provides a comprehensive and reliable structural design & analysis for the ship structure, complying with the relevant hull structural rules. We provide the best solutions that maximize the functionality and productivity of offshore structures, based on broad experience and technology.